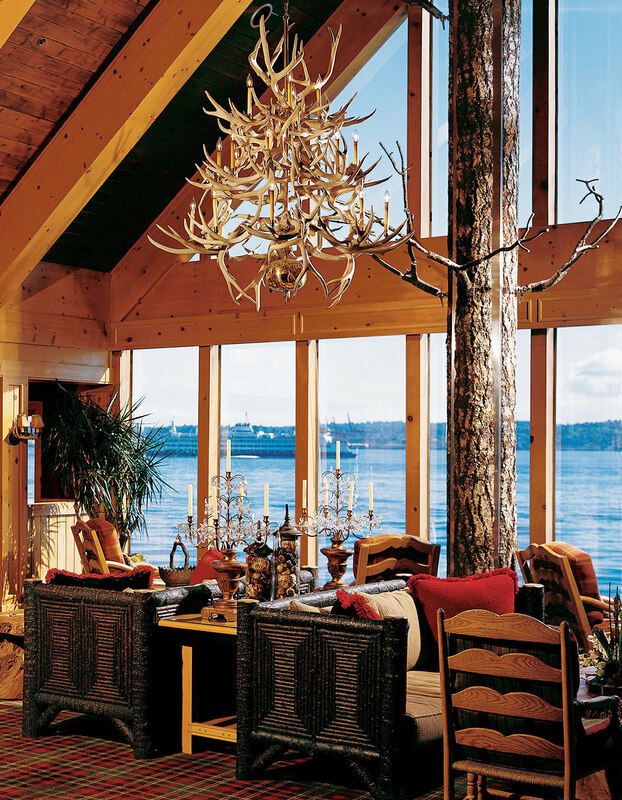 The Edgewater hotel lobby overlooks Elliott Bay. Room 272 at the Edgewater hotel in Seattle seemed like most other hotel suites in the early 1960s. That is, until August of ’64. And that they did. The attention at the Edgewater continued for days, weeks, and even now, 47 years later, the current hotel staff gets asked constantly about staying in the room the Beatles stayed in. In 1964, a night in the suite went for $72; today, the rack rate is $1,200 per night and although room 272 is much different, Beatles memorabilia abounds—including the fishing rod Ringo Starr used to fish from the hotel’s window. The Edgewater is Seattle’s only waterfront hotel, and it is a local favourite. Despite the urban setting, the property captures the feel of a classic Northwestern wilderness retreat. The hotel’s lodge-style architecture is inspired by organic elements, including handcrafted knotty-pine furnishings and river-rock fireplaces. The waterfront rooms overlook the calming waters of Elliott Bay, where eyes feast on jumping seals and diving seagulls; and the passing of the scheduled ferry boats along with the Olympic Mountains in the distance make for a picture-perfect postcard.